The Manila Hotel is one of the grandest and oldest hotels in the country. It is a luxury hotel located at Manila near Intramuros and adjacent to Quirino Grandstand. 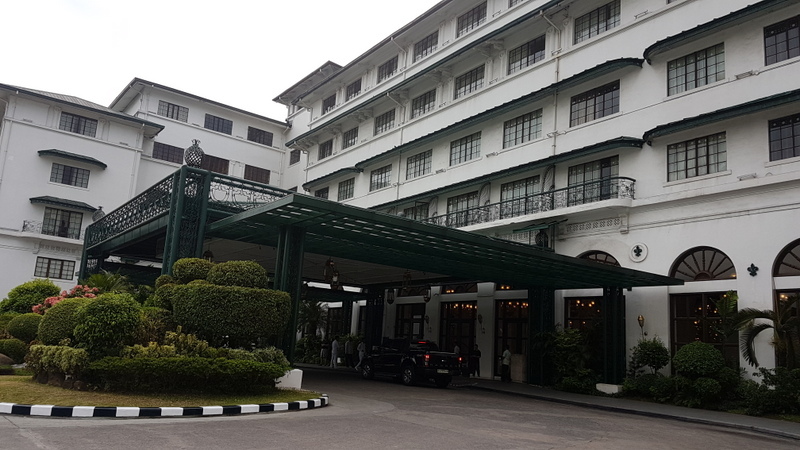 We were fortunate to spend an overnight at The Manila Hotel one Saturday of May due to work. 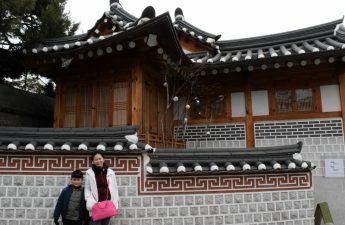 It wasn’t really a staycation for me, since I have work to do, but it was a relaxing weekend for my little boy, who I tagged along. The Manila Hotel has one of the majestic lobbies among all hotels I’ve been to. Everywhere you look, the lobby spells class. The reception area is located at the right side of the lobby. We booked a deluxe room overnight and we had prior reservation beforehand. However, it took us quite some time to check in. 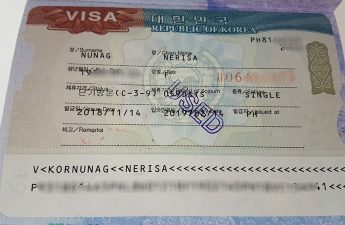 We paid in full during checking in, and we were required a deposit of Php4,000. This is the first time we were asked a security deposit even after paying for the accommodation itself. 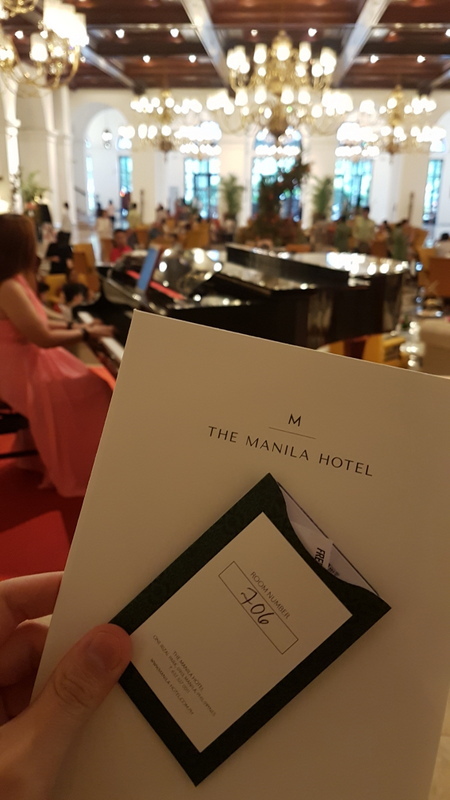 Now, let me give you my review of The Manila Hotel. Room – 4.5 out of 5. We booked a deluxe room with king bed. The room given to us has a view of Intramuros. It has a work desk, an LED television, air-conditioning unit, coffee maker, cabinet with safety deposit box, iron and iron board, slippers, extra pillows, and bathrobe (the fluffiest bathrobe I was able to try in a hotel! ). The bathroom comes with complete toiletries, a bathtub, shower area, and toilet. The Manila Hotel was kind enough to give us welcome fruits. The room looks elegant, but you can still feel the aura that comes with the oldness of the place. Amenities – 4 out of 5. The Manila Hotel has complete amenities. It has a swimming pool, gym facilities, restaurants, and spa. Neo was able to enjoy so much in the swimming pool that has a view deck of the Manila Bay. What I find sad about Manila Hotel’s amenities is the parking. For a huge hotel, Manila Hotel has very few parking spaces. You can opt to use the hotel’s valet services, but your car will be parked in the road in front of Manila Hotel. We had a hard time looking for parking spaces, a very small issue that should not come up when checking in at a luxury hotel. Staff – 3 out of 5. I am a very-easy-to-please kind of person. A smile from the hotel staff makes my day. However, inefficiency really makes me sad. The staff assigned to us during checking in, in my opinion, was inefficient. We paid in full, gave our security deposit, and waited for so long. The staff next to her was able to complete 2-3 guests’ check-ins when she had to deal with me alone. She also didn’t inform us the amenities of the hotel – I didn’t bother to ask, I just checked it out myself. She didn’t give us the wifi password, I just checked it at the keycard. She didn’t even inform us that we are entitled for breakfast for 2 at Café Ilang Ilang, and this one, I had to ask since this was part of our booking. Checking in the hotel, the receptionist should give out the best impression for the hotel as they are front liners . Sadly, this receptionist couldn’t. To be fair to the other staffs, I find the staffs at Cafe Ilang Ilang and the housekeeping quite polite and okay. Food – 4 out of 5. 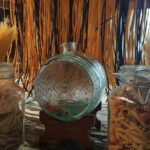 Our overnight stay at the Manila Hotel includes a breakfast for 2 at Café Ilang Ilang. I had heard a lot of nice reviews about Café Ilang Ilang, and I expected a lot – however, during our breakfast, all I can say is that the reviews are overrated. Yes, Café Ilang Ilang is grand. 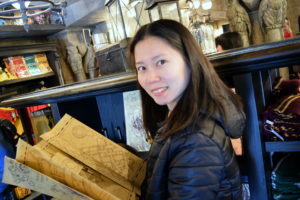 It has delicious foods, it has a nice ambience, the staffs inside the café are nice, but for me, it is overrated. The place has more tables and chairs than foods, this could be okay if the tables for foods are strategically located so guests can get food easier. Café Ilang Ilang’s breakfast buffet is priced at Php1,500 per head. Location – 5 out of 5. The Manila Hotel has a very prime location being situated in the center of Manila. 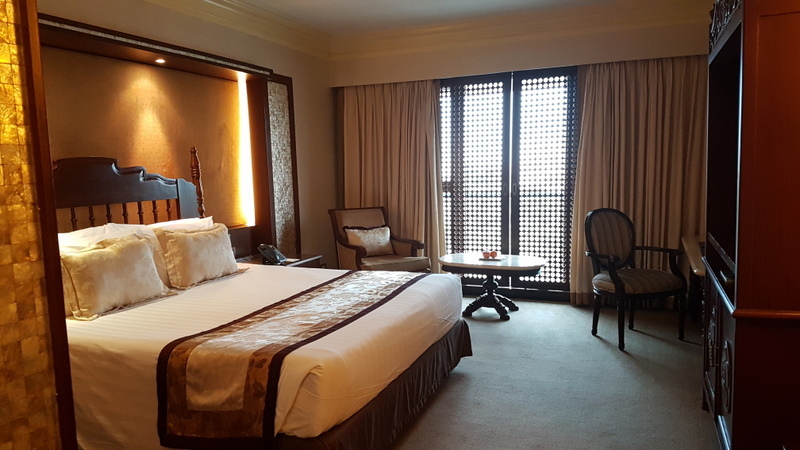 If you are planning on a staycation in Manila, the Manila Hotel is one of the best for you. 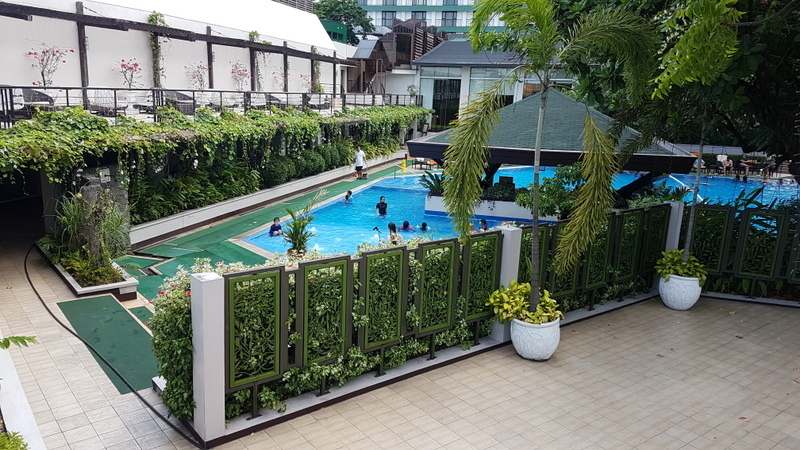 It is near tourist attractions like Intramuros, Luneta Park, and Ocean Park. 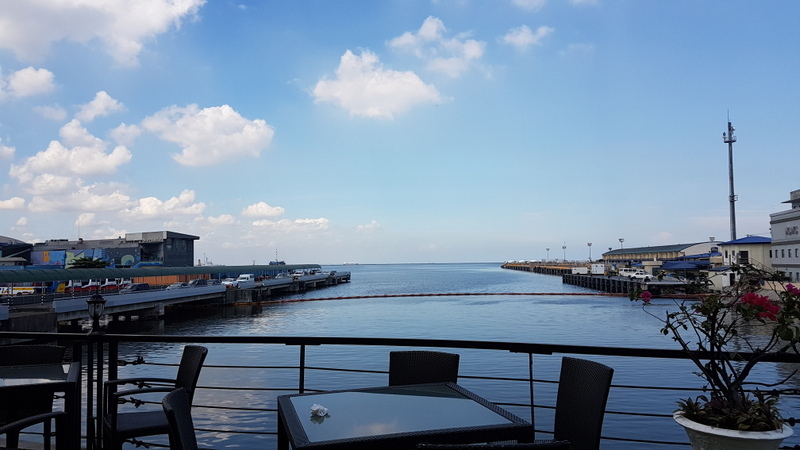 The view of Manila Bay from The Manila Hotel. Value for Money – 4.1 out of 5. Being a luxury hotel, The Manila Hotel’s rates are on the expensive side. However, we were able to book on a flash sale that costs Php5043 only! 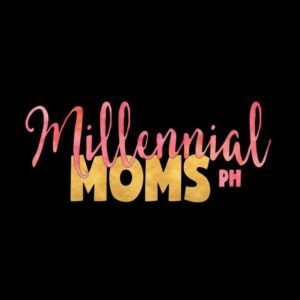 So, if you are planning on a staycation at the Manila Hotel, I suggest you wait for this flash sale – to get the most value of your money. 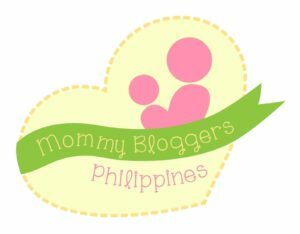 Disclaimer: We paid for our accommodation at The Manila Hotel and all opinions are mine.